Greetings HOPR Style Wall readers! The holidays are upon us encompassing shopping for gifts, sending out holiday cards, and entertaining family and friends. Which means party planning may also be in you immediate festive future. 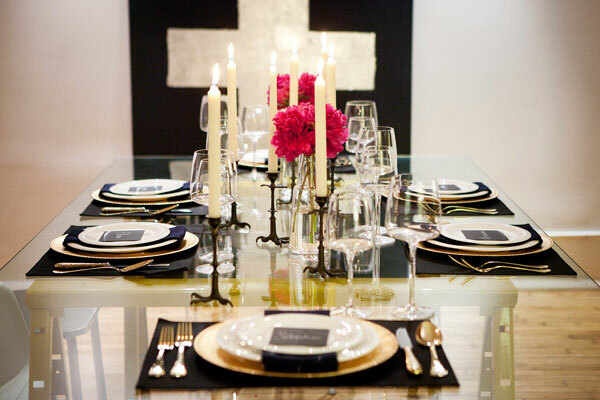 Many are intimidated by holiday entertaining, so here are five tips for keeping it simple, yet luxurious and low in stress so you can make the most of your soiree with your guests. 1. Choose a color theme. Commit to a 2-3 color theme for decorations. You will have a much easier time putting everything together and creating an effortlessly chic look. 2. Create a playlist of holiday music. Put all of your favorite holiday jingles on your iPod to set the mood, then have it softly playing in the background – on repeat. 3. Choose a signature cocktail. 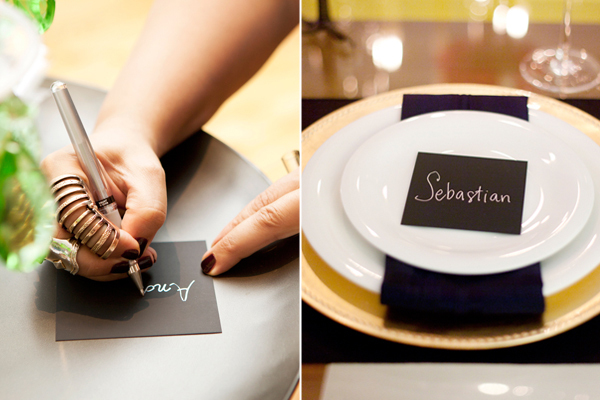 Stick to one signature holiday cocktail and designate an area where guests can serve themselves. This way you are free to go about and mingle with your guests. 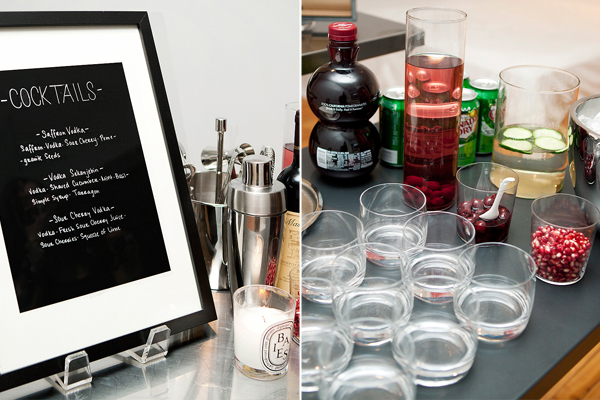 Of course have a bottle or two of wine, beer and a non-alcoholic beverage such as sparkling cider on hand for those who don’t care for the signature cocktail. 4. Serve light bites. If you are hosting your party in the evening people will all ready have eaten so keep it simple by serving light bites. 5. Plan your outfit a week or two prior to the event. Once those invitations have gone out your next task is to choose what you are going to wear. Remember you set the tone for your holiday fete so wear something sparkly that will get your guests in the holiday spirit the minute they walk in. Cheers!